SKATTO JAPAN: The Greatest Collection of Feel-good Stories - FUJI TELEVISION NETWORK, INC.
Something that we struggle with daily, that eats us up and causes stress and anger: annoying people. You know those people. Unreasonable complainers, obnoxious drunk people, rude cab drivers, snobby salesperson, loud teenagers with no manners, and so on. 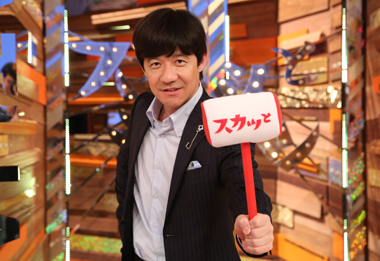 Hosted by Teruyoshi Uchimura of the comedy duo Ucchan Nanchan, this show features short dramatic reenactments of real-life situation where someone beats those “bad guys” through cleverness and wit. In every episode, the well-reputed supporting actors are cast as characters. There’s no doubt that the show provides a great stress relief and leaves audience feel completely entertained and exhilarated!